March 28th, 1979 was a scary day for my entire family. I was 12 years old at the time and we were told that we had to evacuate the Harrisburg area. We quickly packed up one suitcase for every member of the family and headed 175 miles to the northwest. For the next 7-10 days...we stayed with family waiting until we were cleared to return home. What made us flee our home and evacuate? The Nuclear Accident at Three Mile Island in Middletown, Pennsylvania. 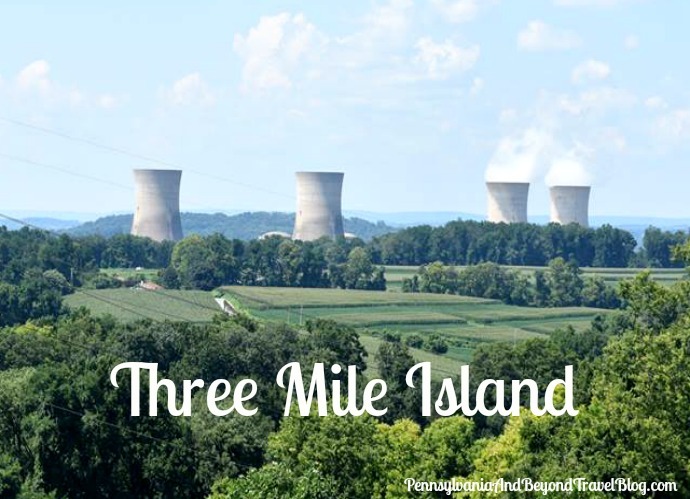 On March 28, 1979, and for several days thereafter - as a result of technical malfunctions and human error - Three Mile Island's Unit 2 Nuclear Generating Station was the scene of the nation’s worst commercial nuclear accident. Radiation was released, a part of the nuclear core was damaged, and thousands of residents evacuated the area. Events here would cause basic changes throughout the world’s nuclear power industry. By: 1999 by Pennsylvania Historical and Museum Commission. Location: You'll find the historical marker located on River Road in Middletown Pennsylvania. When traveling south, you'll find it on the left-side of the road with the Susquehanna River and the nuclear reactors towards your right. The accident began with failures in the non-nuclear secondary system, followed by a stuck-open pilot-operated relief valve in the primary system, which allowed large amounts of nuclear reactor coolant to escape. The mechanical failures were compounded by the initial failure of plant operators to recognize the correct situation due to inadequate training and human factors. The incident was rated a five on the seven-point International Nuclear Event Scale: Accident with wider consequences. The partial meltdown resulted in the release of radioactive gases and radioactive iodine into the environment. The TMI Unit 2 reactor was gradually deactivated and permanently closed. The only one that is currently in operation today (as of 2018) is TMI Unit 1. From what I read in the media, the Three Mile Island Unit 1 reactor will also be closed by 2019, due to financial issues. You will see photos above of TMI Unit 1 and of TMI Unit 2, taken in the spring of 2018.